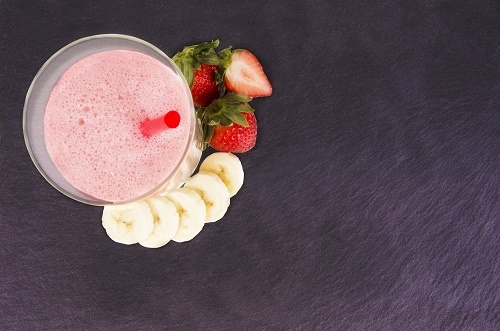 This smoothie is so creamy and delicious. The fruits are naturally sweet, so there’s no need to add sweeteners. Pineapples contain natural enzymes to clear up allergy-producing mucus, and bananas inject creaminess, so you won’t need to add milk. Freeze the fruit beforehand, and you won’t need to water down your smoothies with ice cubes.